Agent and Ontology are distinct technologies that arose independent of each other, having their own standards and specifications. The semantics web is one of the popular research areas these days, and is based on the current Web, which adds more semantics to it for the purpose of building the Ontology of Web content. In this regard, application program on Web can make the purpose of cross-platform calculation come true by taking advantage of Ontology. However, agent is a theory able to enhance abstraction of software itself, and as it is know, negotiation protocol is the basic principle in the electronic commerce which has a direct impact on the efficiency of the negotiation. This study examines the communication architecture with negotiation protocol on the Semantic Web. 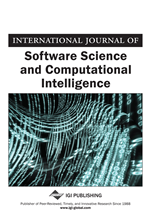 Precisely speaking, agents make computing with Ontology, and the authors define an agent’s communication ontology for this communication framework and semantic web use Ontology to describe the negotiation protocol. In this context, the buyer or seller will be able to improve semantic cognitive in process of negotiation. Also, it can provide an intelligent platform for the information exchange on the same understanding about the content of communication in the electronic negotiation service. According with the relevant discussion of MAS, a separate agent generally is able to complete a simple task through the implementation of a simple activity. Federal agent can use one of a special agent to implement a complex activity (Agent collaboration by other members) to achieve a relatively complex task. In this paper, we abstract this method which put a single agent or federal agent to finish the mission as a service. Service refers to an entity (individual or business) that can finish a mission, this mission not only can be executed by agent owned by entities, but also achieve through the general processes (such as production) and can be provided to another entity through negotiation. A service consists of three elements: service provider, service demand and service implementation (Figure 1). Service demand side: it need other agent to assist the implementation of an event and look for provide services (the implementation of this activity) of the agent. It can send task to the agent which has the capacity to provide the service. Service provider: it has ability to perform certain activities (services). Service implementation: it executes a (simple or complex) by the agent or provided through the general processes (such as production, sales). In this paper, we put forward the negotiation framework which consists of three parts: buyer, seller, negotiation server. Seller (Service provider): It will be able to provide products or services information related to negotiation and publishes it to the negotiation server. Buyer (Service demand): It search negotiation server to get product or service information. Negotiation server (Service implementation): It is a platform to provide various negotiation approaches. Let us now describe each part of the system in upper figure and their respective functionalities. Seller: In the process of negotiation, he is to provide products and services side. Find a suitable buyer, the seller must be able to carry out negotiation, therefore, the buyer and the seller is a necessary condition in negotiation. Buyer: he wants the buyer will receive the product or service. At the same time through negotiation, he can be the initiator of negotiation, the addresser of negotiation. Negotiation server: it contains different types of negotiation approach to meet the needs of different users of the negotiation, at the same time, it is also provide semantic interface to exchange information especially in negotiation protocol.